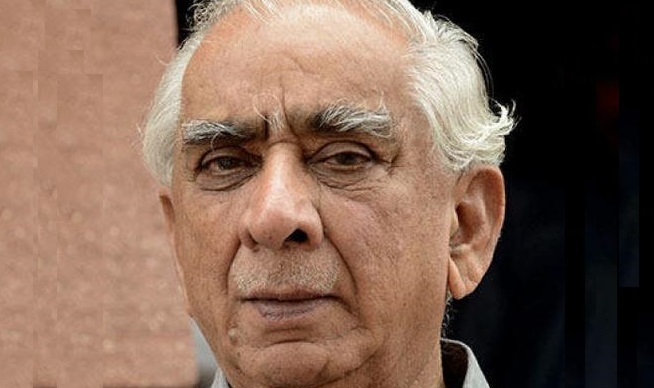 Jaswant Singh expelled from BJP, who is contesting the Lok Sabha poll as an Independent in Rajasthan’s Barmer constituency against the party’s official nominee, after he refused to withdraw his candidature on the last day of withdrawal of nominations. The decision to expel Singh, 76, for six years was taken by BJP President Rajnath Singh, a party statement said. The party expelled another rebel leader Subhash Maharia, former union minister, who is contesting as an independent in Sikar constituency, also in Rajasthan, against BJP’s official nominee. Jaswant Singh is contesting as an independent against the party’s official candidate Sonaram Choudhary who had recently joined BJP after switching over from Coingress. The party statement said the action was taken against Singh, former External Affairs and Finance Minister, and Maharia as the BJP constitution does not allow partymen to contest independents against its official candidates. Having been refused nomination, Singh had attacked the party leadership the BJP leadership. This is the second time in five years that Jaswant Singh was expelled from BJP. In 2009, he had been expelled for his controversial book praising Pakistan founder Mohammed Ali Jinnah. However, he was taken back in the party-fold in June 2010. The expulsion of Singh and Maharia was conveyed by BJP General Secretary J P Nadda in a communication to Rajasthan state party chief Ashok Parnami. “Jaswant Singh has exhausted all constitutional options available to the party by deciding not to withdraw from the contest,” a senior BJP leader said in New Delhi. Parnami, without naming Singh or Maharia, said in Jaipur earlier in the day that all rebel candidates could be expelled from the party for six years.